Washington, D.C., 1986. 288 pages, 306 color photographs, 39 b/w photographs and drawings, 11 maps. Cloth cover. A wonderful, illustration-filled study of North America before the coming of the Europeans. 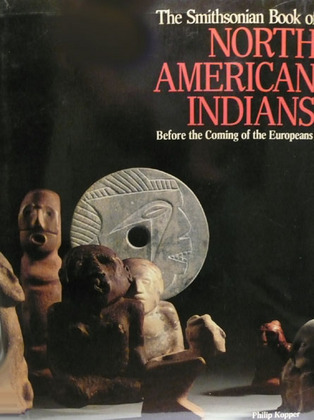 Recreating the extraordinary cultures of these peoples; their arts, artifacts, weapons, customs, and religions; on the basis of artifacts found in archaeological sites, this volume provides stunning visual evidence of the high level achievement of the historic and pre- historic native peoples of North America.